LINCOLNSHIRE Businesses for Breakfast can continue to provide healthy breakfast foods to children across Lincoln and Gainsborough after it was presented with a cheque for £2,500 from potato supplier Branston on Thursday (17 January). The breakfast club, which works with 30 schools and nurseries around Lincolnshire, offers a free healthy breakfast every week to almost 500 children aged 4-11, who are disadvantaged through poverty, family problems or health. “We are honoured that Branston has chosen to support us and the Lincolnshire Businesses for Breakfast charity. It’s so important that as a community we can put these services in place to help those that really need it. The breakfast clubs enable children from the local community to concentrate better in class, make healthier food choices and learn important social skills. “We are delighted to be able to help Lincolnshire Businesses for Breakfast to continue running its clubs within our local community. 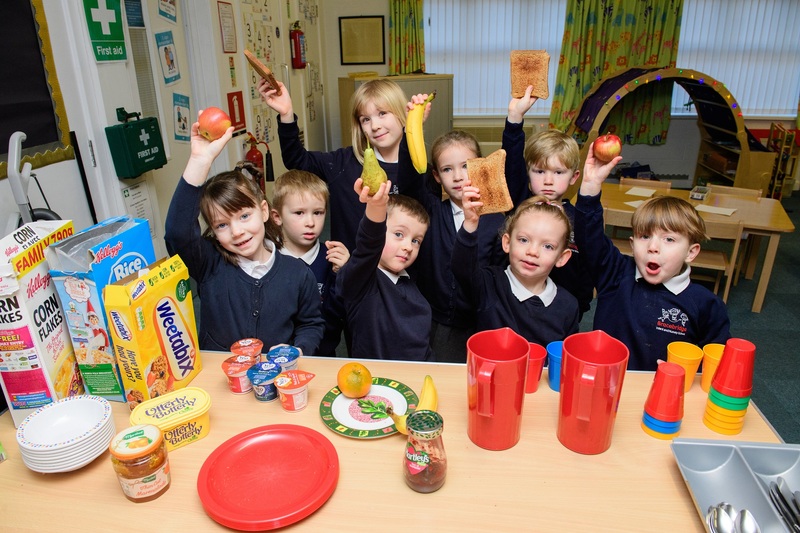 At Branston we understand how essential it is for children to have a healthy balanced diet and a good breakfast helps set you up for a good day. “Our team has chosen to support the charity as we feel it is one close to our hearts and it’s really important to us that we are able to give back and help support them with their services.